The Soma-Nomai festival has been held, quite aptly, in the Soma region of Fukushima for a thousand years and it's still a modern-day thrill ride despite its firm ties to tradition. Every year, avid volunteers gather to don period armor, ride horses and charge about a racing ground as if they were warriors of the warring era. Of the variety of festivities taking place over the three days, we particularly enjoyed two main events. 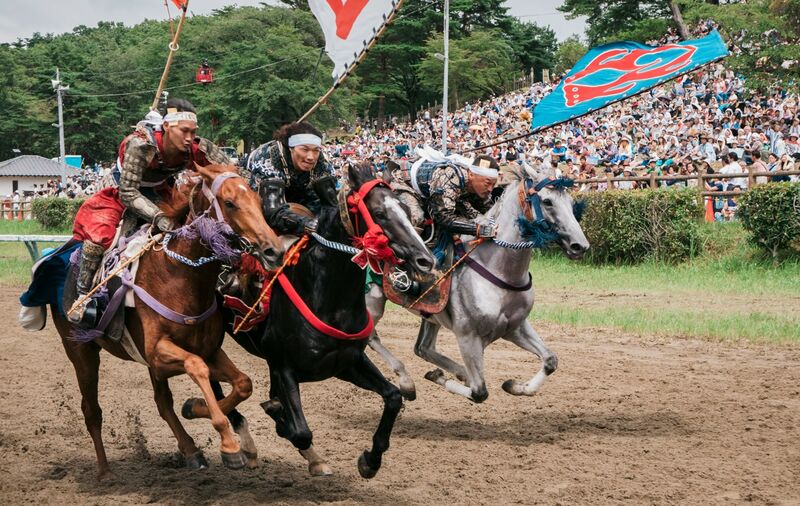 The Koshiki Kacchu Keiba horse race involves a fast and furious lap around the course by groups of select riders, the fierce beating of hooves almost drowned out by the roars of the frenzied crowd. It's a surprisingly inclusive event too—both men and women of a variety of ages were competing for prizes, and all equally covered in mud and sweat by the end! The second event was the Shinki Sodatsusen competition where hundreds (!) of riders raced to catch flags shot out of ceremonial cannons. What the charges lacked—in terms of the pure speed and ferocity displayed in the earlier races—was made up for by the sheer spectacle of it, swathes of warriors in extravagant armor and multi-colored flags billowing in the wind. And the look of exaltation on each victorious rider’s face showed just how much the competition meant. Pictures simply don't do any justice to this epic and historic event. You truly need to go out to Soma and see it all with your own eyes. 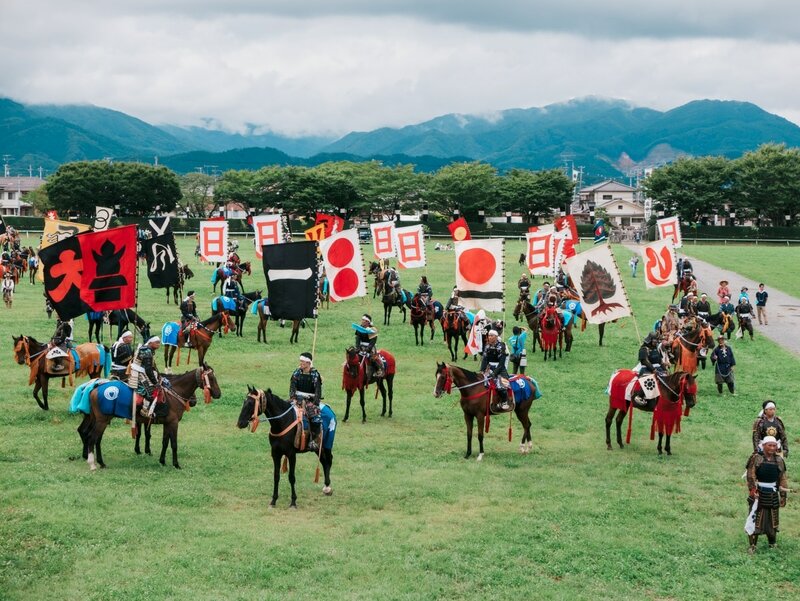 All in all, it's a thoroughly enjoyable festival for anyone keen to see what the fuss over samurai culture is all about and soak up the atmosphere of a rip-roaring old school festival. And don’t forget to pick up a katana umbrella along the way. Born and raised in Kent, England, Robert is a recent graduate of Tokyo University specializing in media economics, and now lives in Japan working mainly in the advertising industry. In his spare time he enjoys travel and photography, and discovering new tonkatsu restaurants.